My Relationship with Depression and the Mountains. It may have come to some of my fellow tweeters notice that I have just recently reappeared on the media site after some absence and to add this is my first post in over a year so please bear with me. I write this with great testament to @SmirnieOutdoors whom with great courage and eloquence has written on the subject of Depression herself as to which gave me the inspiration to come to terms publicly on the matter myself. I have had this illness on and off for the past seven years and it can show itself in various forms which some people may not be aware of. 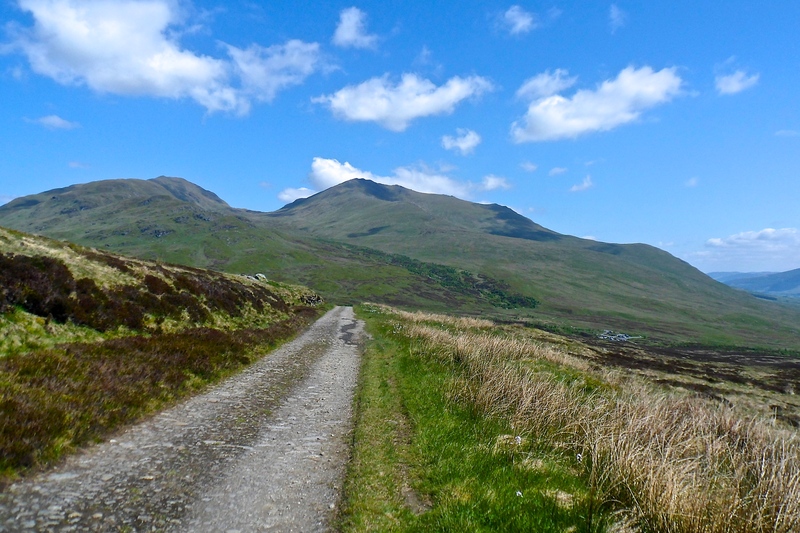 My recent setback followed on from an injury I had in late 2012 whereupon I tore my medial ligament this laid me off hillwalking, running and biking for three months, three months of inactivity, which set the course for the rest of the year. Being self-employed this of course made matters worse however when I became sufficiently mobile I had no option but to return to work. My first noticeable sign of the onset of this episode arose in the form of an obsessive compulsive behaviour to fold clothing and have drawers cupboards etc as neat and tidy as they could possibly be to the point of driving my wife to distraction whats wrong with that I hear you say most wives or partners would be quite happy with someone being as tidy. But it does have an effect on all around you when your constantly replacing items to their original place especially when your wife has told you in the past of being a messy B*****d.
As I previously stated it comes in many forms another of mine was art however a number of people associate it with someone taking themselves away being introvert , not eating , sleeping, and generally dissociating themselves from family and we have all heard of the stories of sufferers dependant on alcohol drugs etc and one which is coming more to light nowadays is past abuse whether it be of a sexual or physical nature. My first experience with my local GP regarding this illness wasn’t good he basically asked me to fill in a questionnaire which took all of two minutes had a quick look and prescribed anti depressant oh and come back in six months that was it. This was the first time it had an effect on my going into the mountains the will was there but that final motivation had gone and I desperately tried to get it back to the extent I would kit up drive half way to my destination and turn back, then would have that overwhelming guilt feeling of not completing my task. I was still reading mountain journals and following what was going on with different expeditions but my mojo had vanished. My advice to anyone who is suffering silently is to talk to someone sometimes its better in my opinion to discuss it with a stranger whom has experienced it themselves and will understand where your coming from rather than a therapist that could be talking out of his or her arse. A few years ago I had that experience where he was blaming it on my childhood which couldn’t have been further from the truth. My diagnosis is that I am just a miserable git that will have to put up with this now and again. My mojo is well and truly back the mountains are my spiritual home this is where I personally feel alive. 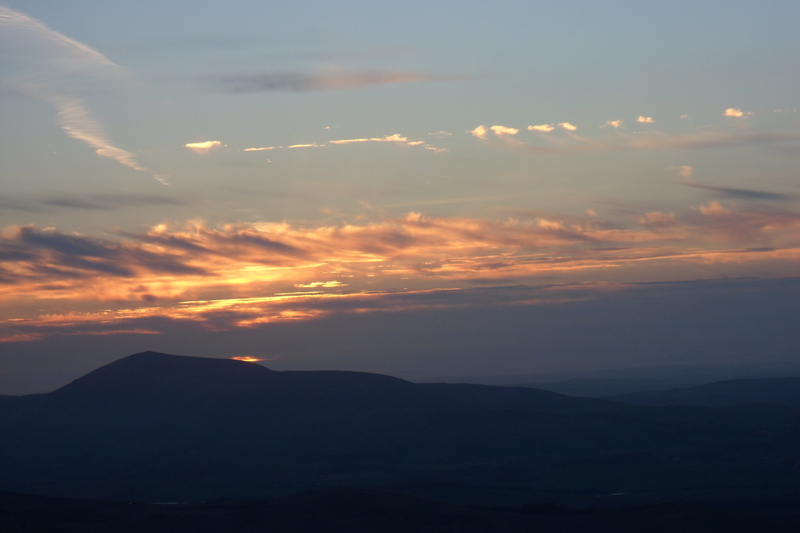 This year my planning has already started for wild camps and munroe summits to be completed. To conclude get help don’t keep it bottled up or hidden away its difficult but you do get through these dark days its taken me a long time to go public. So get out there and keep positive. I shall follow up on this article periodically . The same old question arises time after time when talking to friends and acquaintance’s alike as to why I venture out into the mountains and wilderness. To many of them this is totally alien being raised in urban environment it is beyond their understanding to the benefits you derive from such activities. Not unlike many there is no definitive answer some would say it is escapism from the stresses of modern living or a hankering to get back to a slower way of living the latter i find more congenial combined with a spiritual connection of your surroundings. I cannot think of anything more satisfying than spending a night or nights on a summit during summer or winter under a diamond studded sky. I have a very understanding wife I think that’s why we have been married so long or is it because I disappear a lot at weekends and holiday breaks? It is that something that is much more harder to define we all know the risks involved in walking and climbing in the mountains take Sir Christopher Bonnington a man whom has climbed more than most witnessed friends lose their lives and at the age of 77 is now leading his grandchildren in the mountains. Mountaineers have courage in bucketfuls and desire to succeed but is there something else? I was fortunate enough to take winter skills course a couple of years ago with professional mountaineer and guide Di Gilbert although this is what you may call her day job it was the passion she and her colleagues showed towards their environment that impressed me. Would you be keen to go out to work on your day off? well these guys do back into the mountains walking , climbing, ski touring, it is a total lifestyle. Maybe there is a seed that some of us have and a path in life plants that seed mixed with plenty of passion takes us to the point that we want to spend more a more time in this special place. I for one have plans afoot over the coming years to be out there on a more permanent basis. 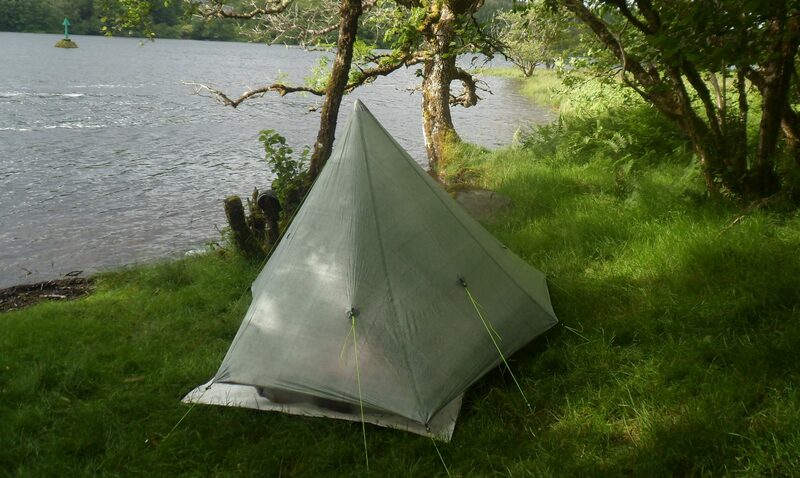 Hi may I take my first blog to introduce myself to all interested parties on the great outdoors. You must forgive me if I make some elementary mistakes on this media platform as this is all really quite new to me. My reason for setting this account up was a great wish to share and discuss issues relating to our mountains and wilderness regions throughout the UK. 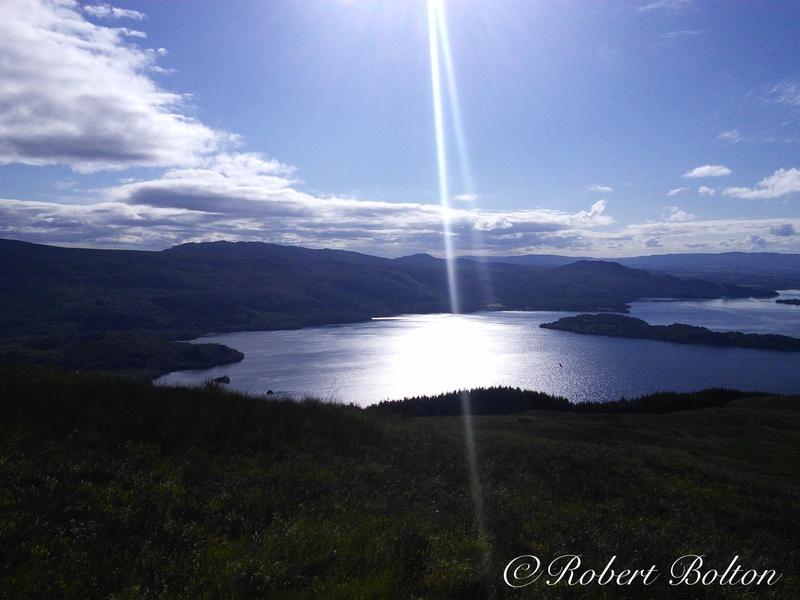 I am relatively new to activities in the mountains which started in seriousness about 4 years ago I am a keen amateur photographer and it was a trip to Loch Lomonds east shores that got me hooked on hillwalking and wild camping. It was on a beautiful early summers morning trying to capture varying lights dancing of the water that I noticed a group congregating in a nearby car park laden with rucksacks and walking poles. Being of an inquisitive nature I wondered where they were headed as they walked off to a small path winding its way through a small wooded copse. This particular area was new to me so with my days sustenance in my camera bag I decided to follow the path unknowingly that it would lead me to the summit of Ben Lomond. It was a perfect day the sun was high in the sky and not a cloud to be seen although with hindsight and the experiance I now have gathered I wasn’t exactly prepared for a day on the mountain no map or compass proper footwear the list goes on. After what seemed to be an eternity and painful slog I encountered my first summit and was taken aback by the number of people sitting up there chatting and having lunch. To the untrained observer it looked like an organised social event however after a couple of kindly gents sat down close by they explained this was all part of the pastime hobby, sport, call it what you may of hillwalking. To look at these two gents they were tanned lean and incredibly fit looking compared to the bulk that I carried to the top my estimation was that they were in their early sixties but I could not have been further from the truth they were both seventy five and seventy six respectively I nearly choked on my ham sandwich. This is exactly when that bug we all talk about bit and bit hard I wanted to strive and gain the knowledge and fitness my new found friends had this is the moment my life of suburban imprisonment ended and the new found freedom of the great outdoors was born. May I take this opportunity to thank anyone whom has taken the time to read this first attempt at Blogging any feedback would be kindly appreciated.